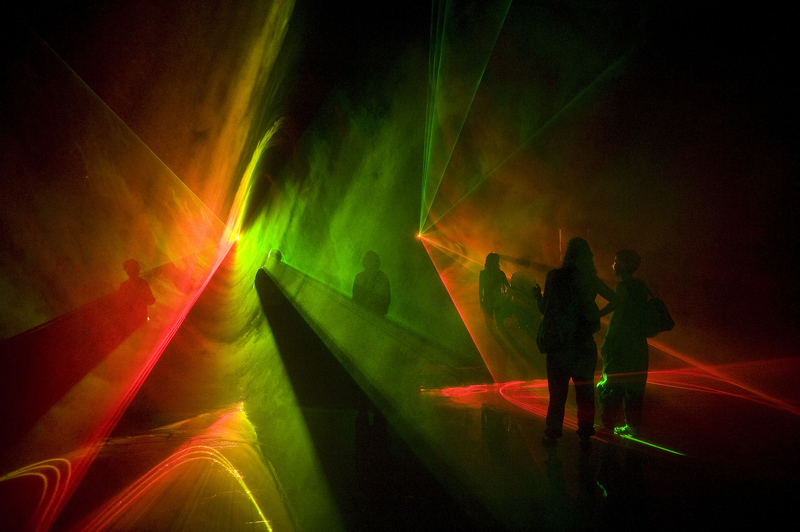 LSP is a series of works in which Edwin van der Heide creates composed relationships between light and sound in space. 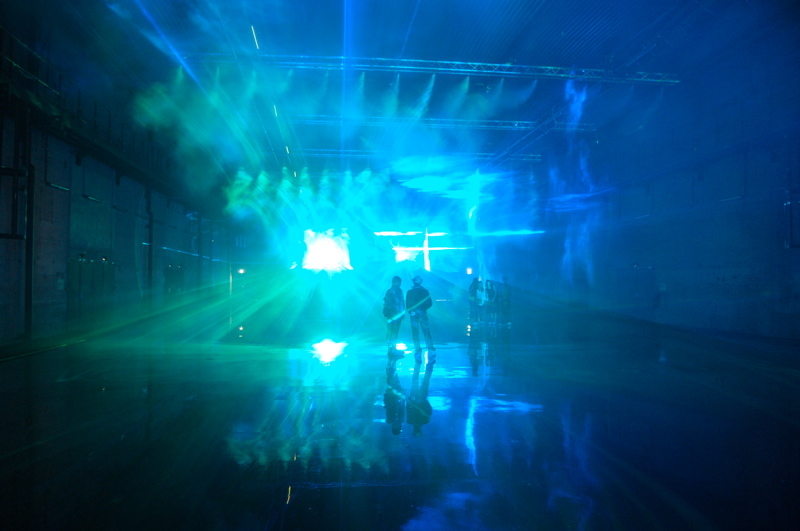 By combining laser light with a thin layer of smoke it becomes possible to project in space, instead of on a surface. The work has bodily and almost tangible qualities and takes place in front, around and behind the audience. 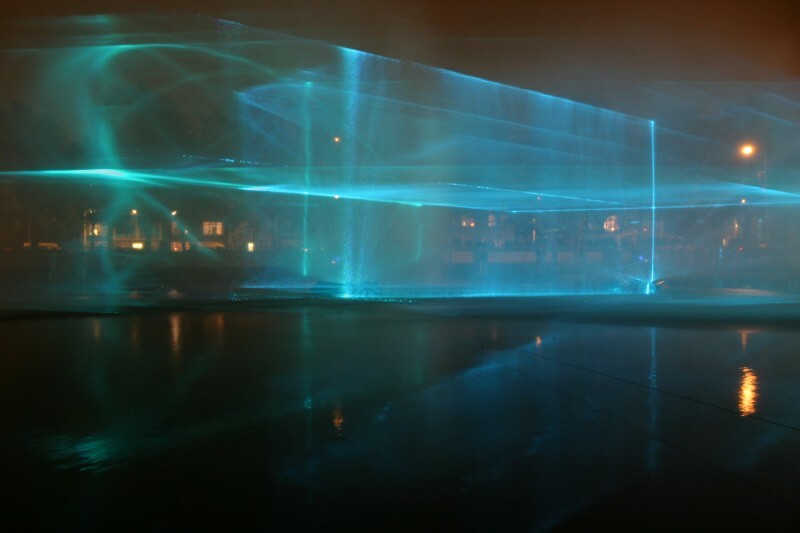 The architectural quality of light builds upon, and simultaneously intersects with, the spatial perception of sound. The resulting environment challenges the audience to choose and change their perspective while being taken by the work. It is a true sensory experience in which the work and its experience become inseparable. The LSP series has resulted both in performances and exhibited installations. 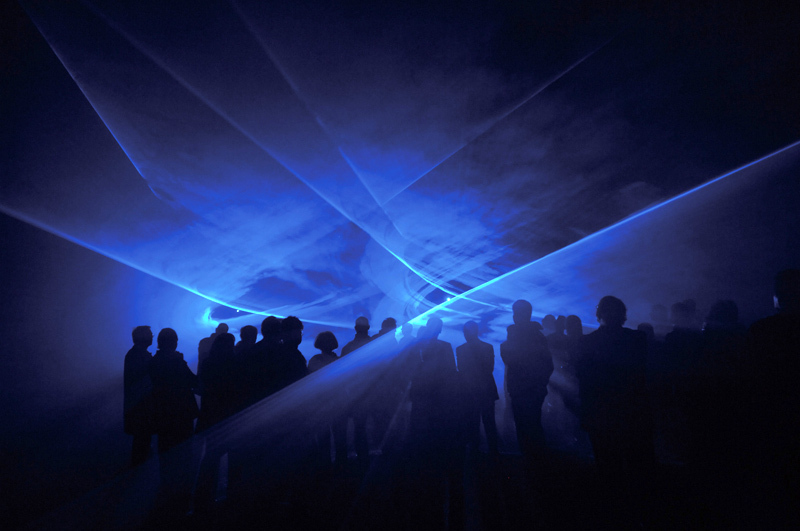 LSP is a research trajectory exploring the relationship between sound and three dimensional image by means of laser projection. In 1815 Nathaniel Bowditch described a way to produce visual patterns by using a sine wave for the horizontal movement of a point and another sine wave for the vertical movement of that point. The shape of the patterns depends on the frequency and phase relationship of the sine waves. The patterns are known as Lissajous figures, or Bowditch curves. LSP interprets Bowditch's work as a possible starting point to develop relationships between sound and image. Since sine waves can also be used to produce pure (audible) tones, it is possible to construct a direct relationship between sound and image. Frequency ratios in sound, de-tuning and phase shifts can have a direct visual counterpart. Although theoretically all sounds can be seen as sums of multiple sine waves, music in general is often too complex to result in interesting visual patterns. The research of LSP focuses on the subject of composing signals that have both a structural musical quality and a time-based structural visual quality. Different relationships between sound and image are used throughout both the performance and the installation form. 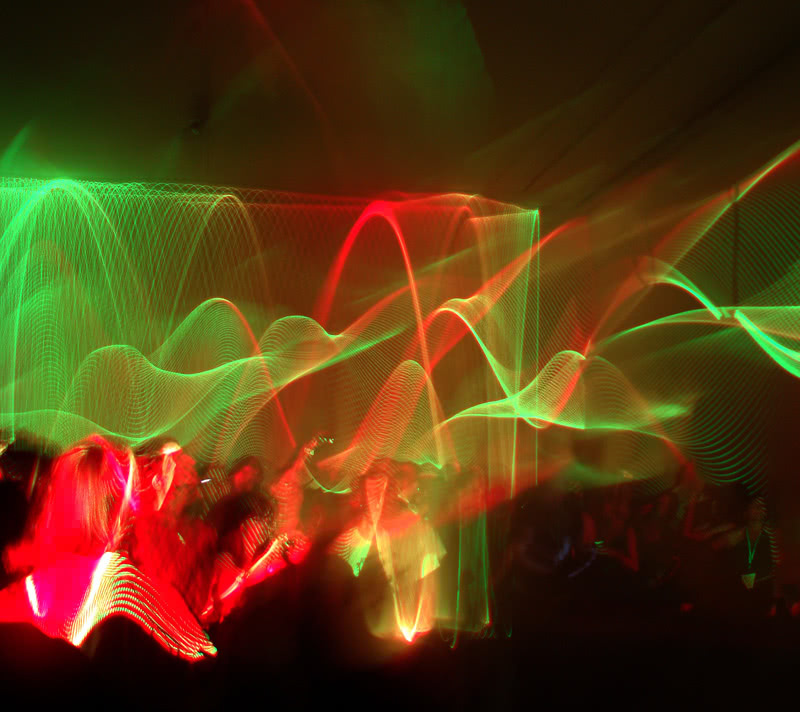 By combining audio with visuals the spatial perception of sound is often being reduced because of the two-dimensional nature of the image versus the three-dimensional nature of sound. 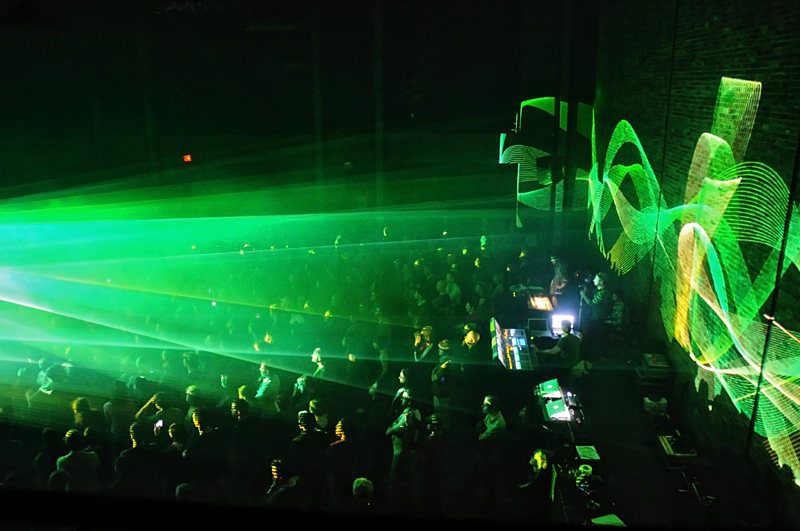 With laser(s), it is possible to create three-dimensional changing environments that surround the audience. 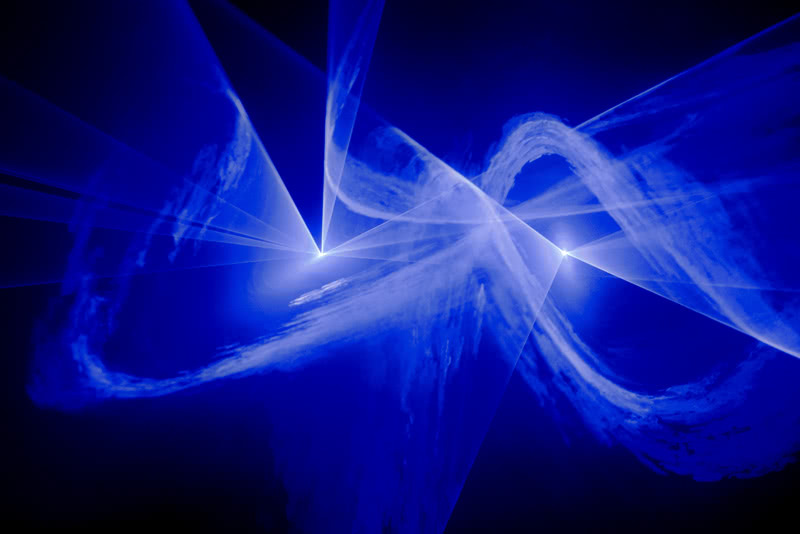 Here, the image is generated by projecting a laser on a thin layer of smoke or fog. Image and sound originate from the same real-time generated source in the computer. This results in a performance where image and sound play equally important roles. The environment challenges the audience to change their perspective continuously.